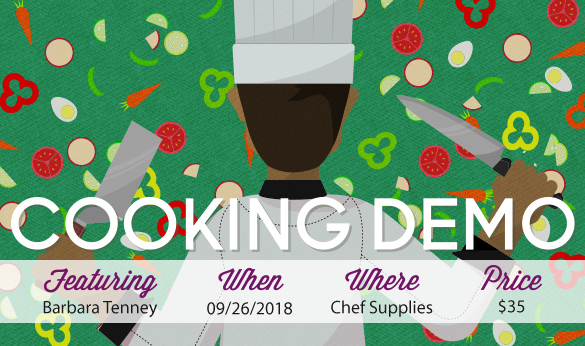 Join Barbara Tenney in the Chef Supplies kitchen on September 26 to enjoy a dinner that will transport you to Italy! This cooking demonstration will be topped off with decadent tiramisu for dessert. Call 865-225-1545 to RSVP for this KaTom event.